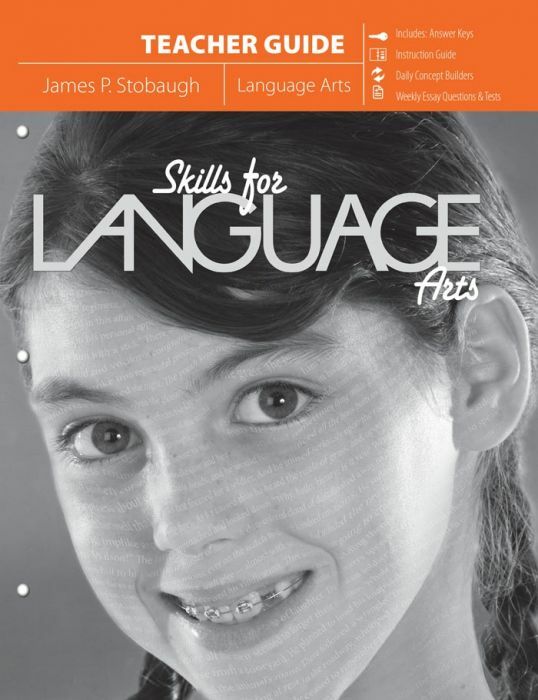 Overview: Junior High studies prepare students for higher learning, with Skills for Language Arts not only developing their basic grammar skills, but communication skills so vital for high school. -Examines insightful texts, including scenes from Elijah’s life, The Cross and the Switchblade, and The Hobbit. The course is developed on a 34-week schedule, with the teacher guide providing a daily lesson plan and all necessary worksheets and exams. Depending on the grading option chosen, a parent/educator will be able to grade daily concept builders, weekly tests, and essays. If a student has satisfactorily completed all assignments for this course, it is equivalent to one credit of writing and one credit of grammar. Approximately one hour per day, Monday through Friday.